Oh what a marvellous day! Street performers, bouncy castle, maypole and a Jubilee feast... we even had some sunshine! 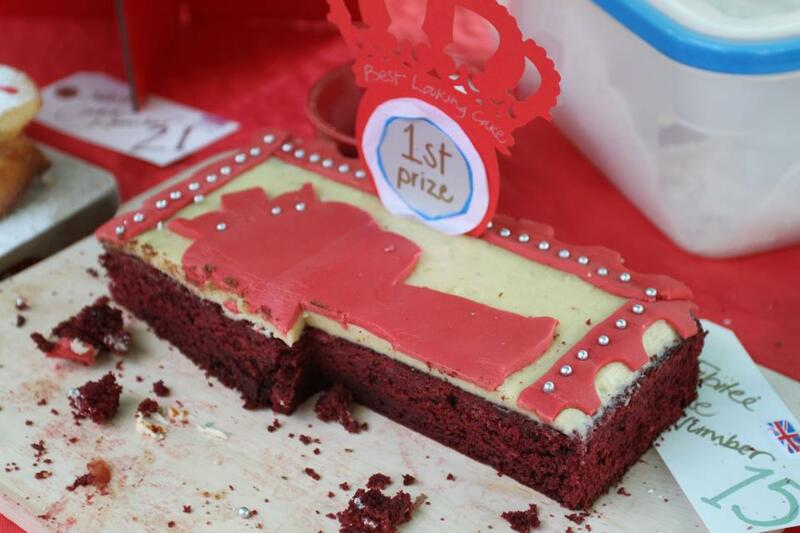 Much anticipated cake competition...I can spot a winner, best tasting cake goes to ...a'hem...yours truly!